Get used to the user interface features of Blue Cat Audio products! They have been designed for an optimal workflow, so here are the tips and tricks to save time. All these features are explained in details in the user manuals, but this is a summary of the main things you want to know before you start using the plugins. Set Preset Skin: change the skin (personalized user interface) for the current preset only. 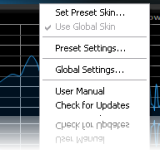 Use Global Skin: reset the current skin to the default one chosen in the global settings. Preset Settings: open the current preset settings window. It allows you to edit the current MIDI settings and skin. Global Settings: open the global settings window. It allows you to edit the default MIDI settings and skin (that can be overriden in each preset). User Manual: opens the user manual, where you will find everything you need to know about the plugin. Check for Updates: redirects to our website to check wether a new version is available. Get More Skins: redirects to our website to get new skins for your product. About: opens the about box, where you will find product information and version. 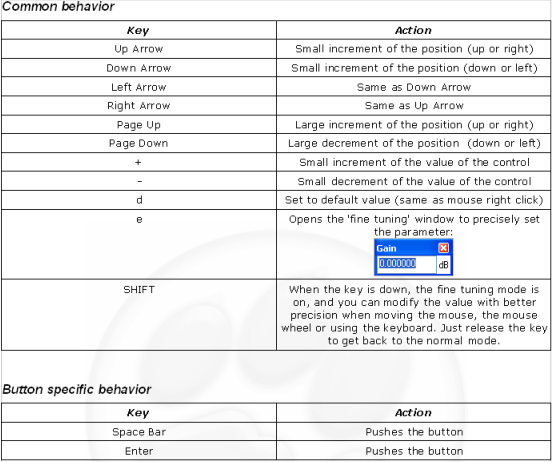 More information about these functionalities is available in the plugins user manuals. Now you know the basics of the Blue Cat Audio user interface. Get a directX or VST plugin and have fun!